While most likely not the first thing you think about when it comes to your car’s health, vehicle belts are very important to your engine’s performance. Vehicle belts transfer power from the engine to various engine components, ensure proper timing of moving parts, and connect key systems. Timing Belt – responsible for timing the moving parts within your engine. Simply put, if these parts do not operate in sync, your engine will not work. Serpentine Belt – connects the alternator, power steering, and A/C. Ensures proper power to these key accessories. Alternator Belt – powers electrical components and recharges the car battery. The belt makes sure proper charge and power is maintained. Each of these belts are made from a firm rubber material. Due to the high heat environment in the engine, these belts break down over time and should be replaced periodically to keep your vehicle running properly. Cracking – The heat of the engine will break down the rubber belts over time. Deterioration and cracks leave your belts at increased risk for breaking. Noises – Squealing noises can indicate an issue with a belt. This may also be accompanied by vibrations in some cases. Loss of power – Should the belt lose its grip and slip, you may notice power loss to your accessories. Bring your vehicle in for diagnostics to determine the cause of the power loss. If you suspect an issue with one of your vehicle belts, have it inspected right away! Catching warning signs early and replacing the belt before it breaks are critical steps to preventing further damage and expensive repairs (especially the timing belt). 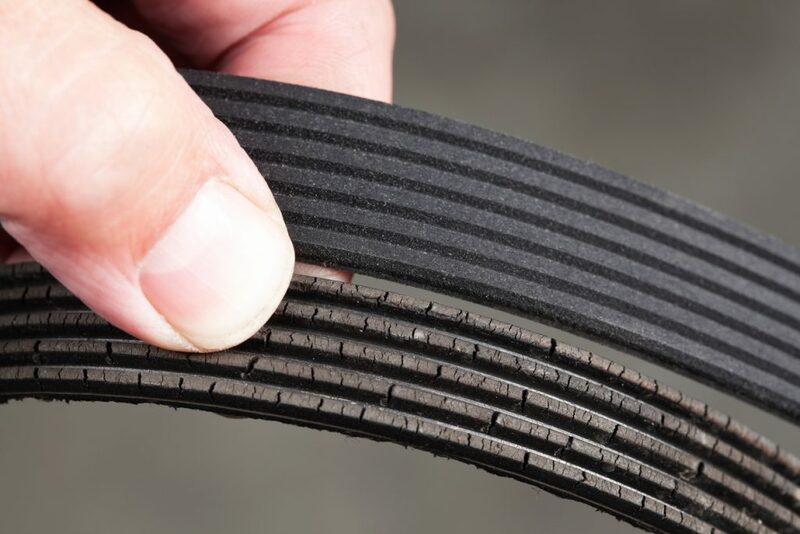 Because it’s not always possible to catch the warning signs of aging vehicle belts, our auto maintenance experts recommend following the manufacturer’s maintenance schedule. If you aren’t sure when to replace the belts in your vehicle, request an appointment online to schedule your next inspection, or call our experienced technicians at 303.344.4670.